View the entire table of contents for the Sept. 30, 2018 issue. Hollywood director Lev Spiro bought a wine fridge and soon filled it up. He bought a bigger fridge and filled that too. Finally, he and his wife—writer-producer Melissa Rosenberg—designed and built their dream home, thereby creating exciting new possibilities for wine storage. 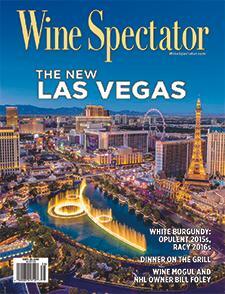 Wine Spectator's Ben Lasman explains. For the full article, check out the new issue of Wine Spectator, on newsstands August 14, 2018.